What do you get when you make a serious effort to cross Rockabilly with Bluegrass? 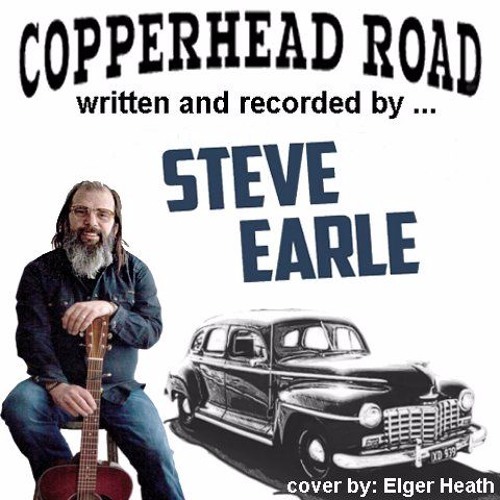 You get a rock'n little number called 'Copperhead Road'. Written and recorded by Steve Earle, this jumping piece tells the story of a young man's life growing up in a family of Bootleggers and Rum-runners in a part of the country where there aren't many other ways to put food on the family table. Of course it is a well know tune. Most you'll have heard it, but it isn't as complicated a tune as you might think. Sure I'm missing the mandolin and the bagpipes but I think that this isn't as bad recording, considering that I'm just an amateur musician with a single acoustic guitar. Why not check out my cover of Copperhead Road.